There are no shortage of bills filed by State legislators representing the Rio Grande Valley for the 86th legislative session with more to come, ranging in topics from education to voting eligibility, guns, benefits and government transparency. Among those that have already been filed, state Rep. Terry Canales, D-Edinburg, filed the most among his RGV peers, with about 40 bills in his name as of Feb. 3. 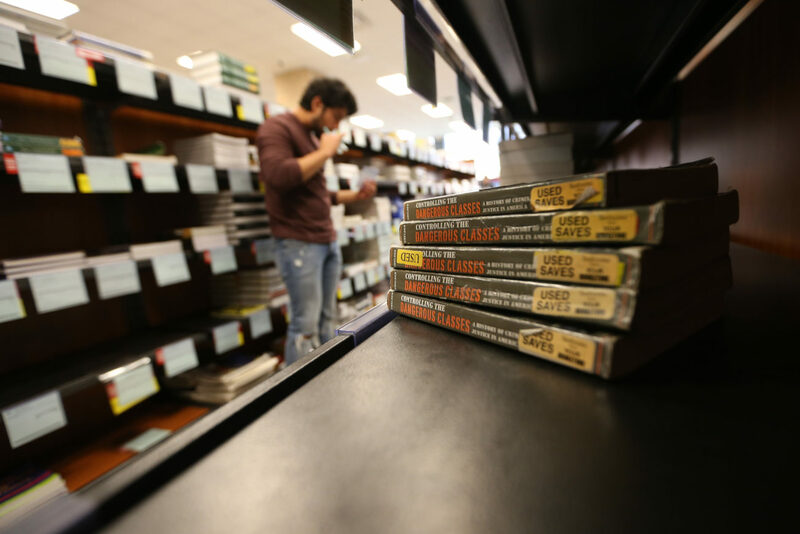 One of Canales’ bills, HB 21, would exempt college textbooks from the sales and use tax for limited periods. This would apply to books purchased by a full-time or part-time student enrolled at an institution of higher education or a private or independent college or university located in Texas. The comptroller shall designate seven consecutive days in January and seven consecutive days in August of each year during which the exemptions would be in effect. He also filed a bill, HB 27, that would increase the criminal penalty for assault or aggravated assault of a federal law enforcement officer. If the bill were to pass, the Penal Code would be amended to say that charges of assaulting an officer are now felonies if the offense is committed against a federal law enforcement officer while the officer is lawfully discharging an official duty, or in retaliation or on account of an exercise of official power or performance of an official duty as a federal law enforcement officer. The bill would prohibit governmental entities from refusing to disclose, under public information law, information related to parades, concerts, or other entertainment events open to the general public that are paid for with public funds. The bill effectively closes a loophole created by a Texas Supreme Court case, Boeing v. Paxton, that allows governmental entities to withhold how much they paid to private entities so as not to tip off competitors. Canales previously filed a similar bill during the previous legislative session in 2017 after the city of McAllen cited the case in withholding the amount it paid pop star Enrique Iglesias for his participation in the city’s holiday parade. State Rep. Ryan Guillen, D-Rio Grande City, has filed a bill regarding foreign language requirements to graduate from high school. HB 678 would allow a student to meet the one credit requirement for a language other than English by successfully completing either a dual language immersion program or a course in American Sign Language in elementary school. State Rep. Eddie Lucio III, D-Brownsville, filed a bill regulating call centers. The bill, HB 701, would require the business to provide notice if it planned to terminate customer service positions that handle at least 50 percent of the total volume of calls and relocate the duties of those positions to persons located outside the country. Sen. Judith Zaffirini, D-Laredo, had more than 60 bills or resolutions filed under her name. Those included SB 36, which would guarantee full day kindergarten if a child is at least three years old and has certain disadvantages, including if the child doesn’t speak English, is homeless, is educationally disadvantaged, or a member of the armed services. Children age 4 would also qualify for a full day of kindergarten. Zaffirini also filed SB 55, which would allow a person who will be 18 years of age on the date of the general election for state and county elections to vote in the preceding primary elections. Both Sens. Juan “Chuy” Hinojosa, D-McAllen, and Eddie Lucio, Jr., D-Brownsville, filed bills to eliminate the death penalty. Hinojosa also co-sponsored SB 151, which would prohibit discrimination on the basis of sexual orientation, gender identity or expression. The bill states that a person engages in a discriminatory practice and violates this chapter if the person, because of the sexual orientation or gender identity or expression denies that individual full and equal accommodations in any place of public accommodation in this state. The bill does not apply to religious organizations. Lucio, Hinojosa and Zaffirini also filed SB 134, which would add the University of Texas Rio Grande Valley School of Medicine to the Joint Admission Medical Program, a partnership between schools and undergraduate institutions that supports students in pursuing a medical degree. Hinojosa also filed a concurrent resolution, SCR 13, by which the 86th state legislature would urge U.S. Congress to oppose construction of a border wall through Bentsen-Rio Grande Valley State Park.